It's a struggle to keep my intention on the input (work) not the outcome. I have struggled with this concept most of my professional life. I suspect it's the reason I'm successful roughly 50% of the time. 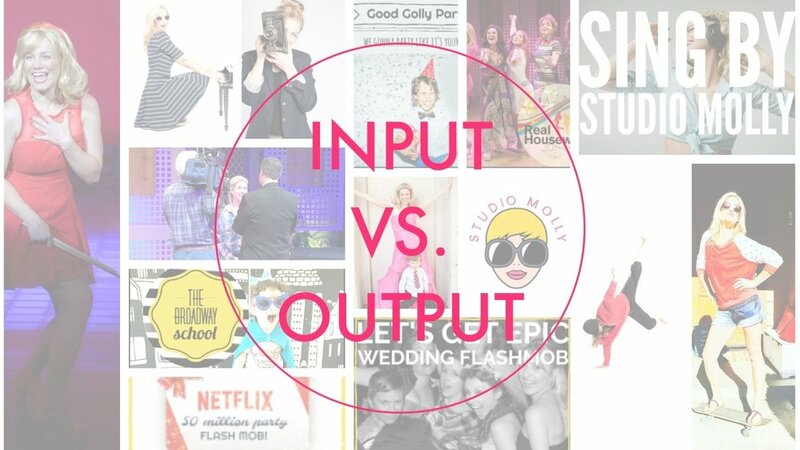 What do I mean by input versus output? A little story first. When I ask my son what he wants to be when he grows up he says, "I want to be a YouTube star." I'm sure many of you moms or dads have heard this before. This idea could be fairly easily obtained if I were to start working with him now and basically do it for him. He's definitely got the personality and the talent. He does NOT have the discipline. I was just like him when I was young. When I ask him what his content will be or what his intention is he says "huh"? Exactly, Ryder... huh? Typical for an eleven year old, however, I ask that of many people I mentor and they say the same thing, huh? 50% of the time (okay maybe 25% as I've gotten older) I am thinking of what the END product/project/post will look like, how it will be perceived, and maybe even worse and detrimental, how might it be the road to my success? Sound familiar? One problem. My life and perhaps your life is a long game and it's too difficult to predict the outcome, even if we fight like hell to do just that. I actually still have this goal but I think it'll happen when I'm in my 50's- if I decide at that point in my life that it is still on my bucket list. But I digress. The point is that I am not a Broadway star because I never wanted to move to NYC, I wanted to have a family and raise them on the West Coast. Instead I had a fairly successful professional musical theater career. I started working on projects and shows that were headed for Broadway and instead originated a few roles, which I consider a success in itself. I learned how to take risks this way and I also watched other writers and then copied them (five and ten years later), when I wrote my own musicals. I moved from goal to goal, project to project with about forty different gigs, careers and jobs and now that I'm in my 40's I am now starting to see the narrative that weaves throughout my long career as a creative. I am obsessed with learning every single day, honing my different skills, combining them and worrying about the input not the output. Instead, I need to worry about the INPUT. I'm not saying that the goal is not to be noticed or become well known for your eventual output. I am a big believer in putting your work out there for others to learn about, build upon, dream with, take the inspiration and move it along to something even bigger. I'm also a big believer in making money for your creation, if it's really good or even good enough. Because your good enough is sometimes better than most peoples excellent. Them's just the facts. That is why I listen to so many podcasts. I crave inspiration so that I have the ability to put my head down and create without thinking about what the end product might be. There is no way to predict the nuances and micro steps towards building a product, piece, blog, career, decade, or lifetime. At forty-one years old I'm finally starting to believe that, rather than just teach it. So how do we focus on input rather than input? Read the second part of my series here and get a list of my favorite podcasts I use everyday to push me along towards success.